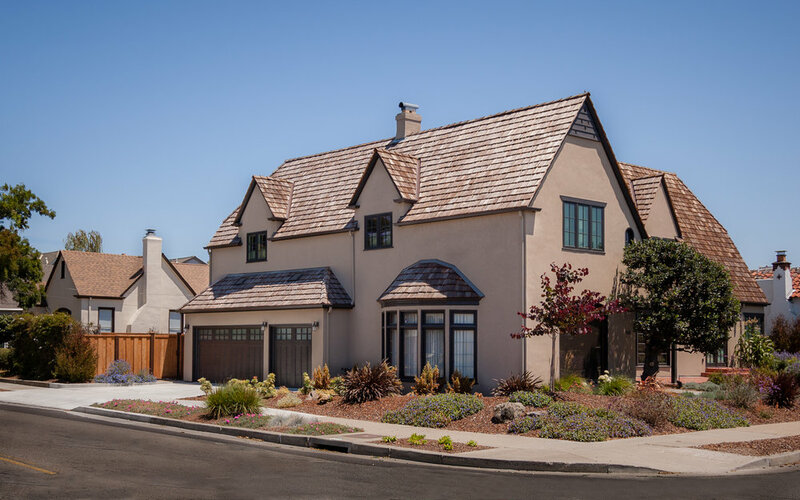 Located on a corner lot near a peaceful lagoon, this Tudor was completely remodeled and enlarged by Norman Sanchez Architecture and became quite simply, grand. 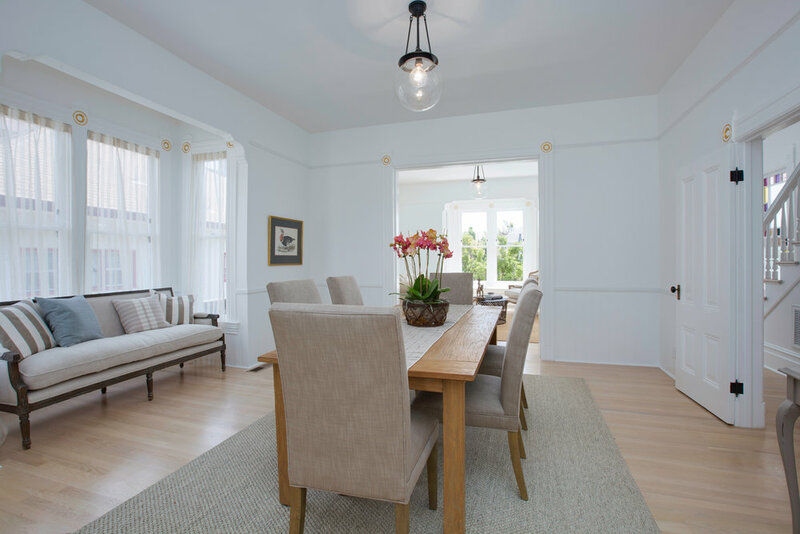 By working closely with the owner and contractor, the firm expanded the L-shaped house at both ends and added new gabled dormers and custom windows, which honor the original architecture. 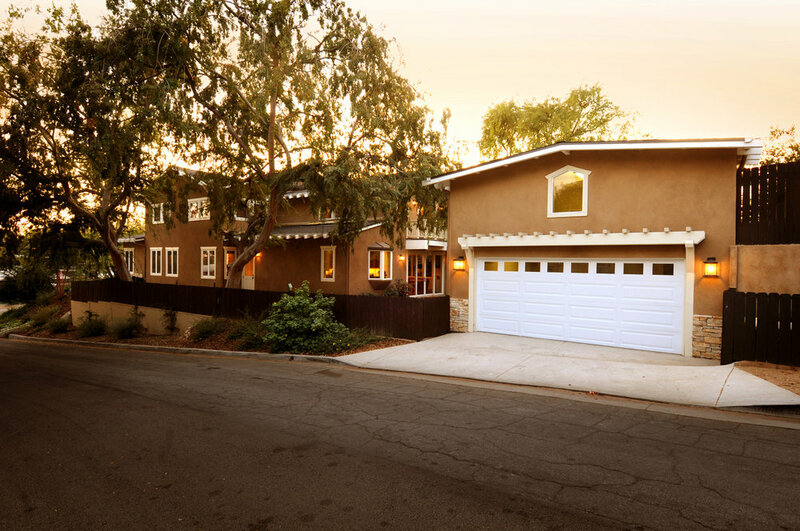 The existing garage was expanded to accommmodate 3 modern sized cars as well as storage. 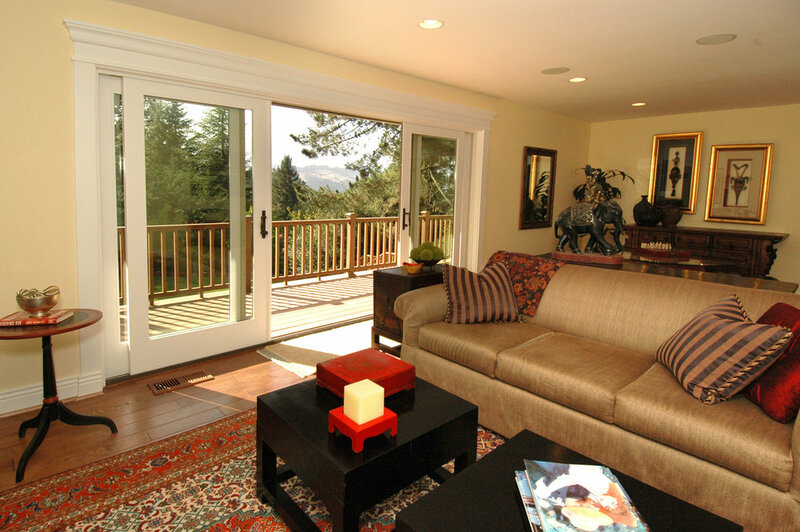 French doors were installed throughout to allow ease of access to the surrounding gardens and new rear deck. 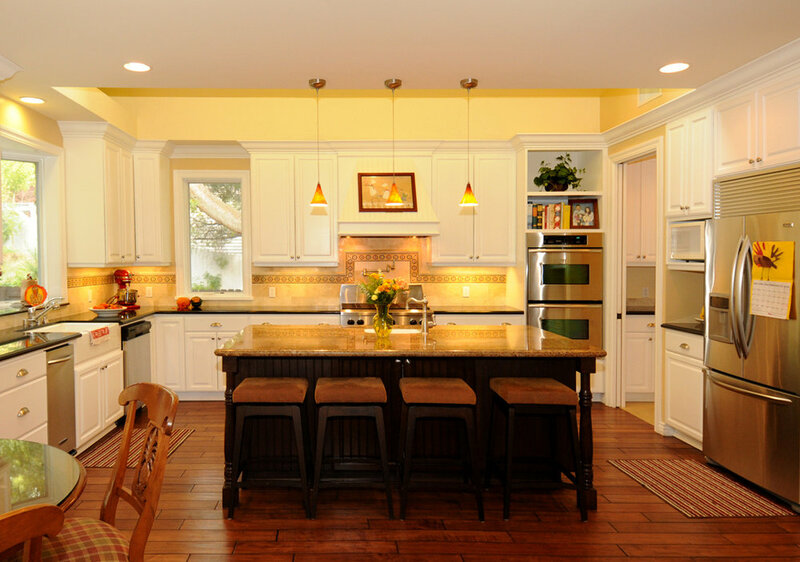 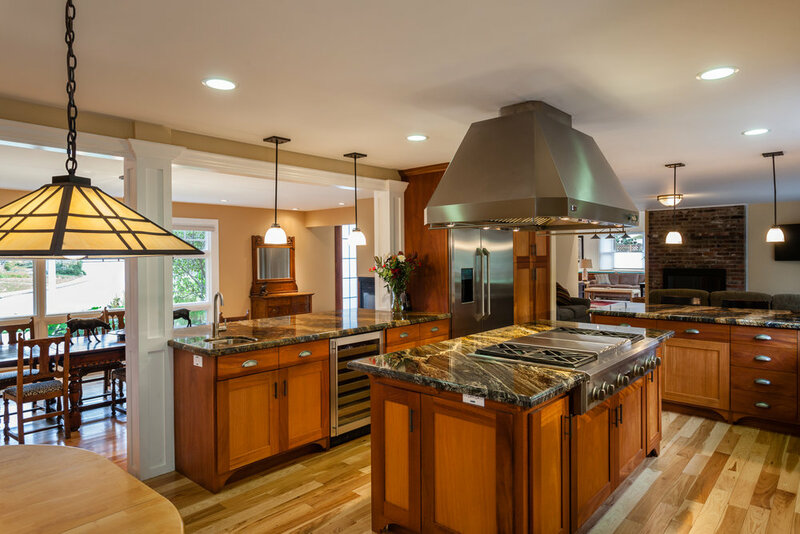 The kitchen and utility spaces were completely re-designed and expanded upon to create beautiful, warm and functional spaces. 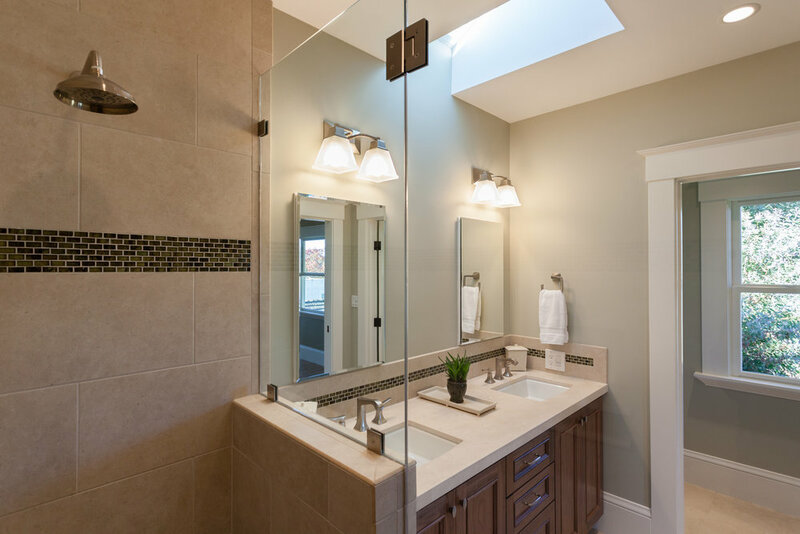 In addition, a master suite and residential elevator were seamlessly integrated to allow the owner to enjoy the home for years to come. 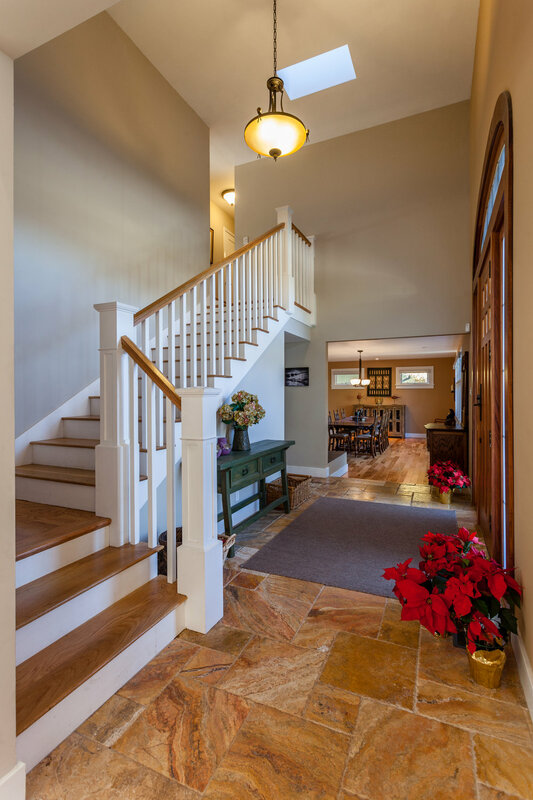 Past clients requested Norman Sanchez Architecture Inc. to design a new custom home for them. 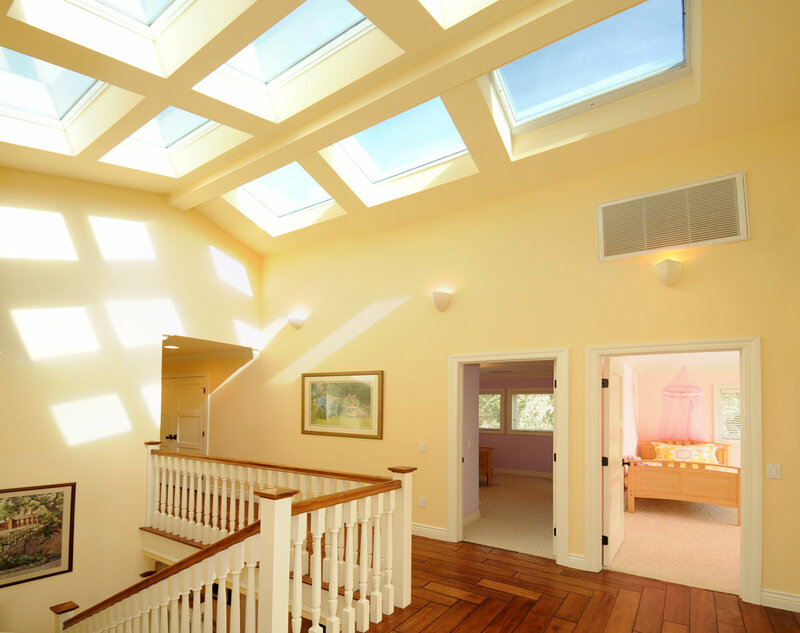 Some key design elements were: a stately entrance to the home allowing for formal entertaining, strategically placed skylights in the kitchen to provide natural day lighting while minimizing undesirable heat gain, built-in bookcases, bench seat and cabinetry in the great room to provide convenient display and storage options and a ceiling of continuous skylights above the stair for abundant natural lighting and a mesmerizing view of the night sky. 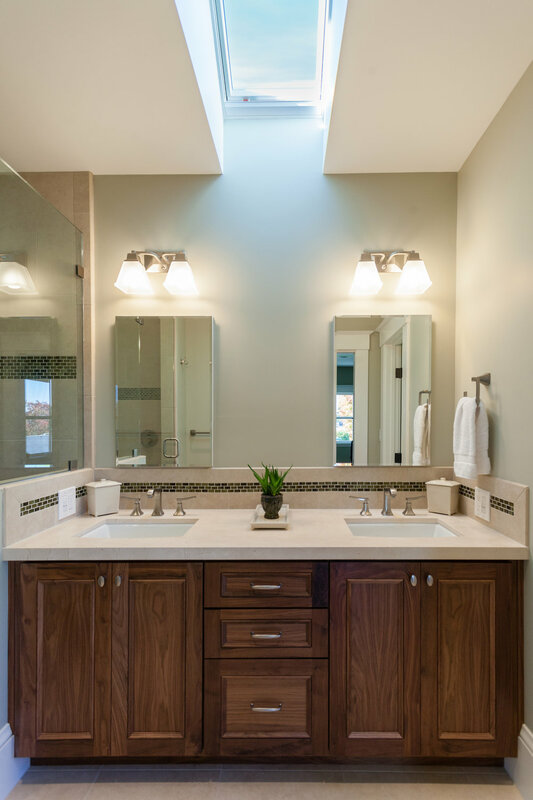 A detached two-car garage, storage room, and pool house were designed around an existing pool that allowed for maximum utilization of the expansive lot while maintaining ample yard for the clients’ young children. 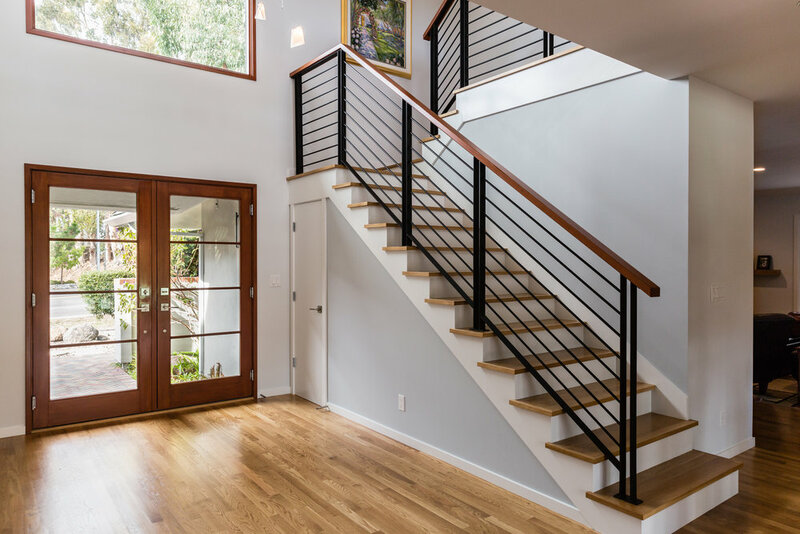 The main floor of this Moraga, CA home was completely re-designed to create a more open and connected space throughout. 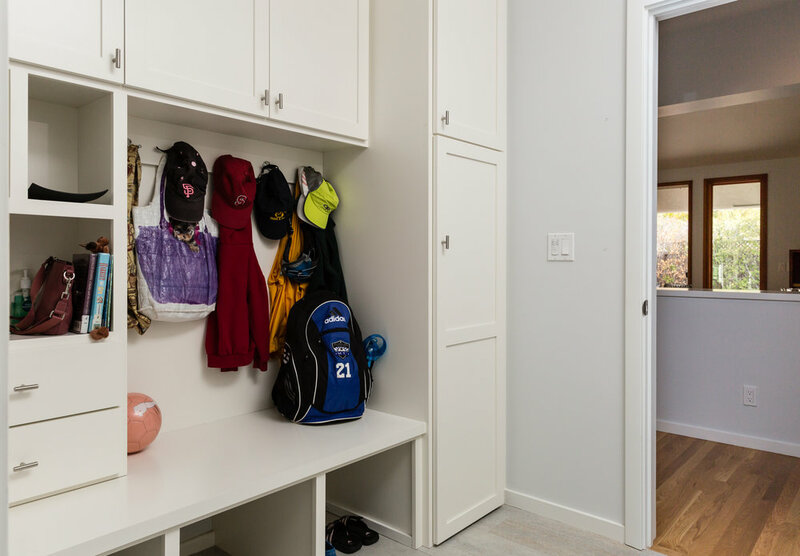 One of the main design objectives was for an existing family room – which had originally been a garage – to become a seamless and integral part of the home. 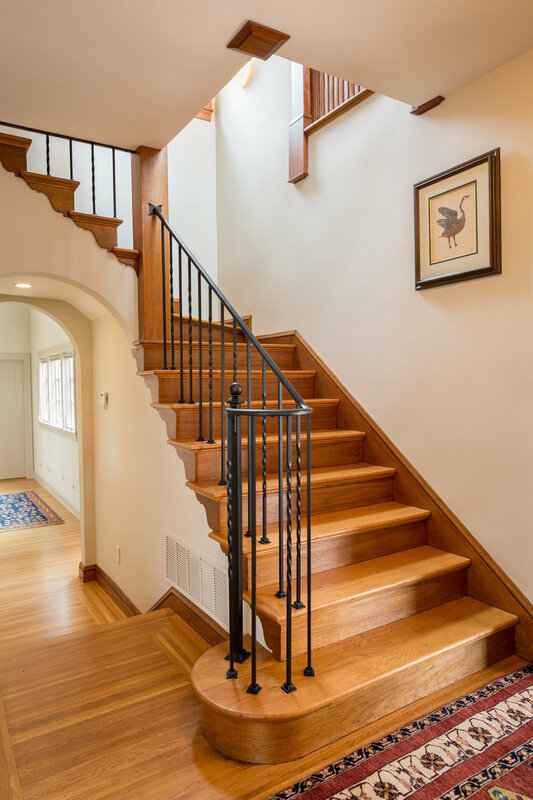 In addition, a custom entry door, stair and kitchen cabinetry were designed in Craftsman style to bring a feeling of elegance to the home. 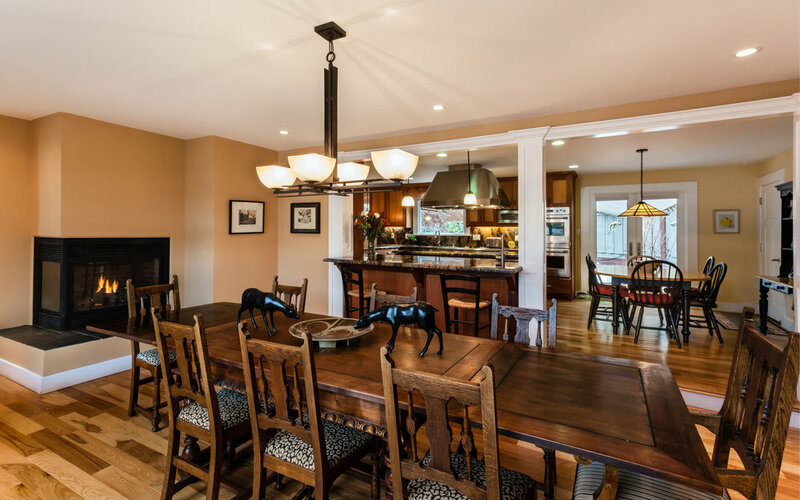 This stately home had seen several prior remodels and additions that had resulted in a disjointed floor plan as well as some structural deficiencies. 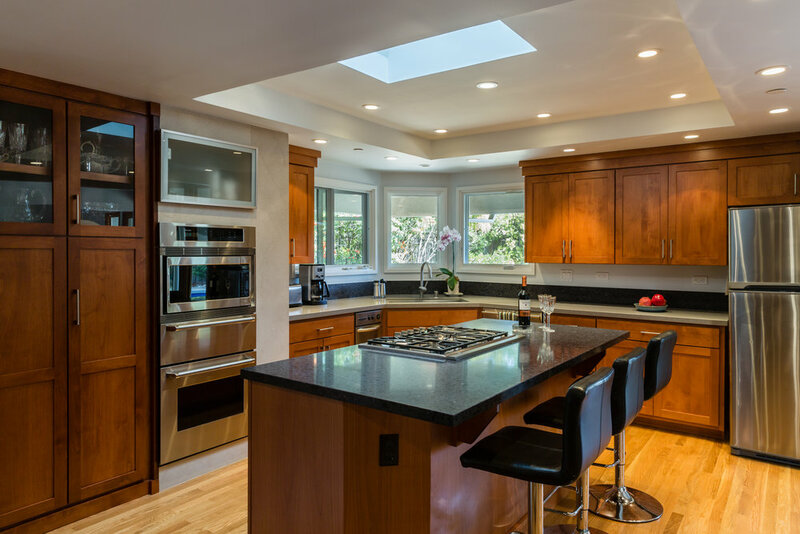 A thoughtful redesign of the overall floor plan as well as a new kitchen for a serious cook and a true master suite brought spatial order to the home and an elegance befitting its original design. 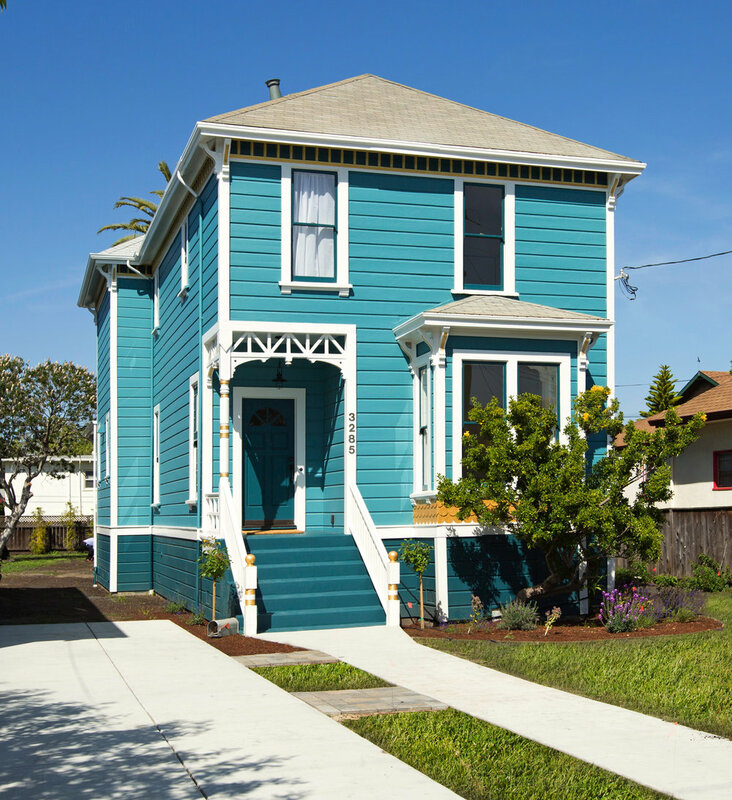 This 1870’s Stick Victorian was given new life with a sizable rear addition and a kitchen remodel. 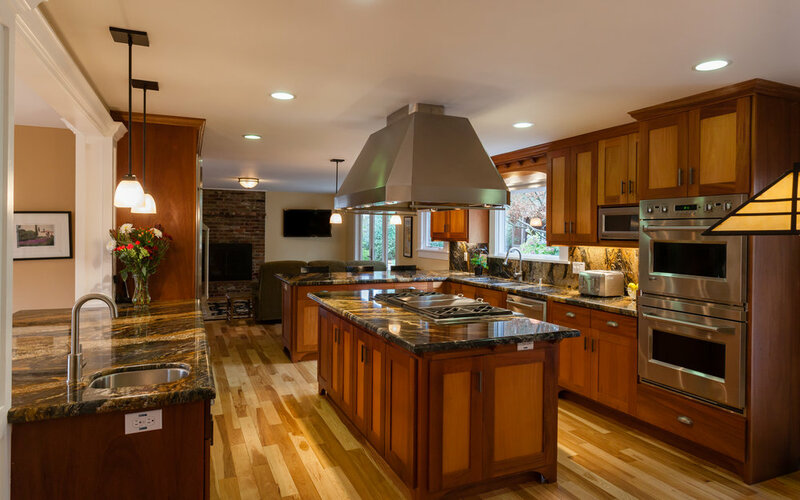 On the lower floor, the finished project resulted in a French inspired gourmet kitchen, an adjoining family room leading to a rear deck, and an au-pair suite. 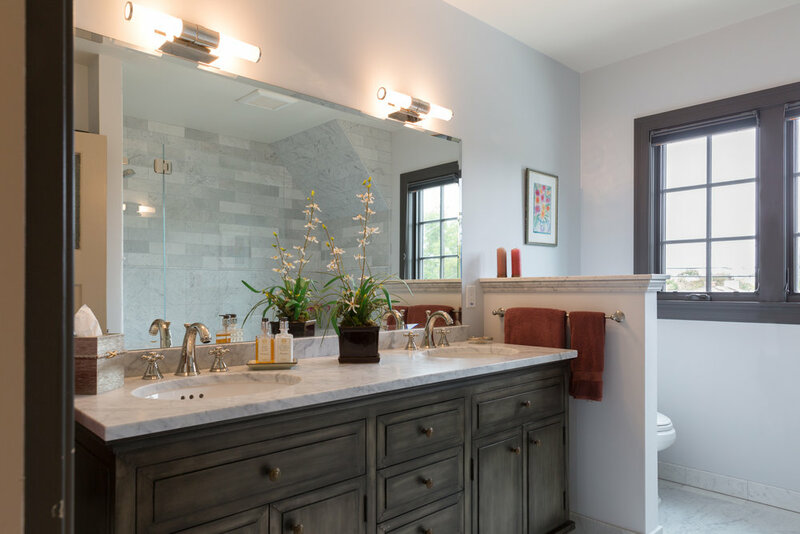 On the upper floor, the existing bathroom was relocated to better serve the existing two bedrooms and an expansive master suite with an office nook was created as part of the rear addition. 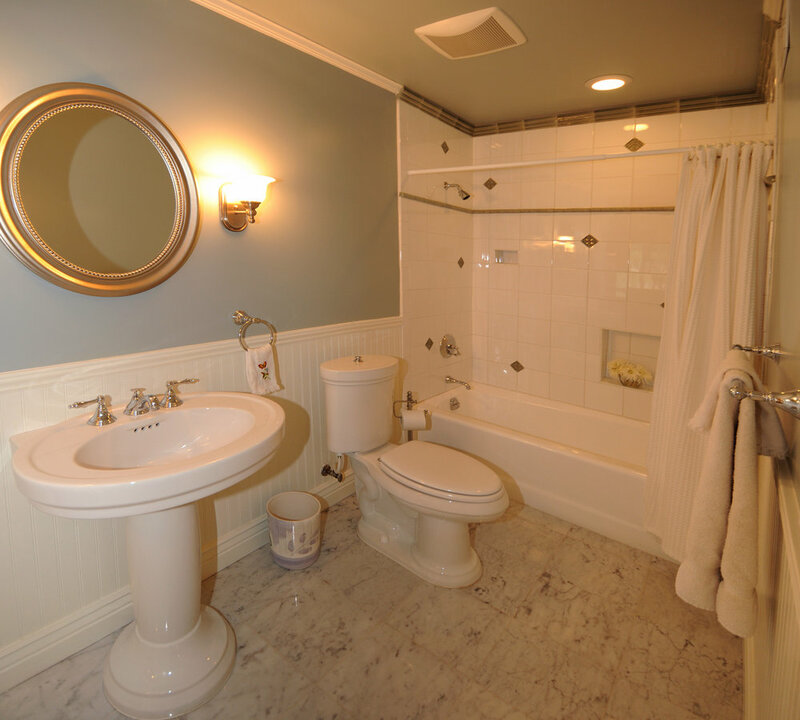 The bathrooms throughout the home were appointed with period-esque fixtures, the original hardwood floors were refurbished and many details consistent with the original style were incorporated into both the existing and new spaces. 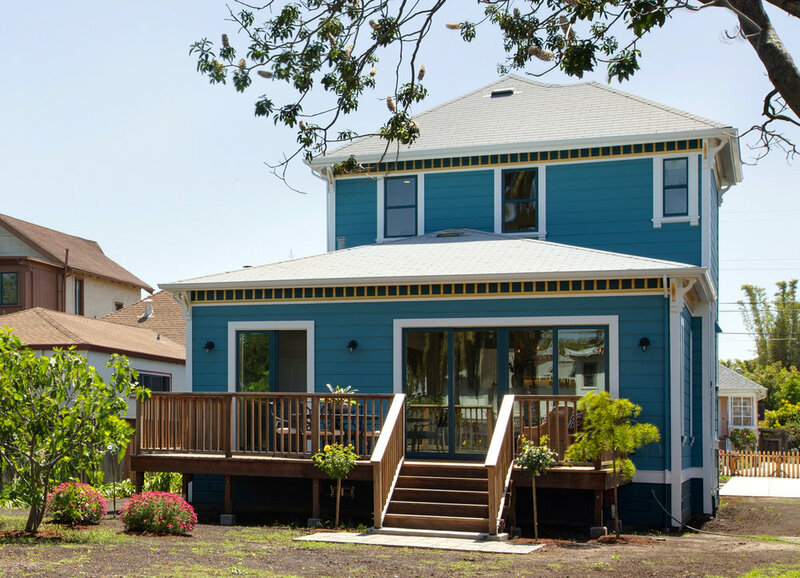 The rear facade of the home stayed true to the Stick aesthetic with the use of v-groove siding, brackets and a decorative frieze. 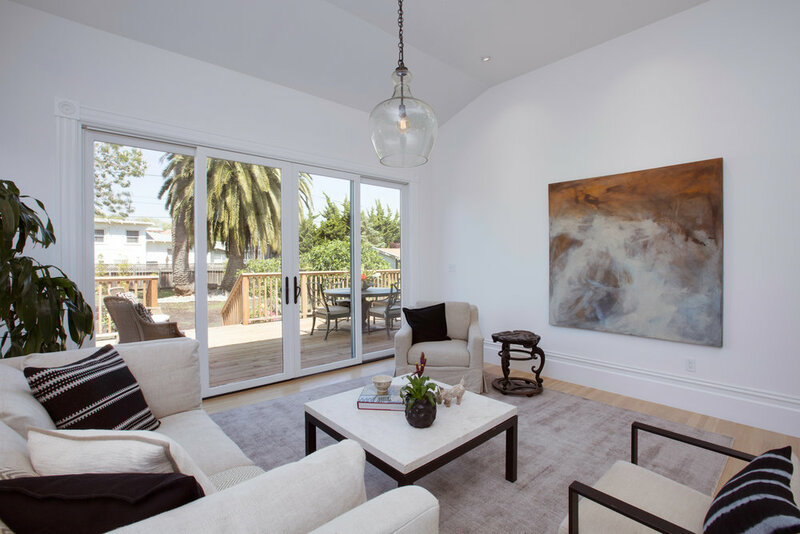 New owners of a previously fire damaged home that had undergone a bare bones rebuild, commissioned Norman Sanchez Architecture to do an extensive remodel. 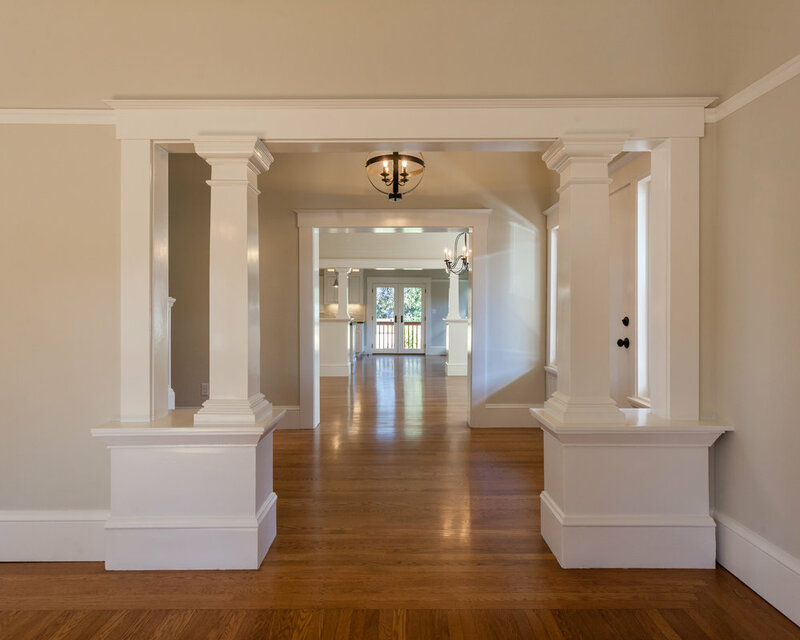 The home’s original grandeur was honored by use of period details such as custom milled columns, hardwood floors, period base board and picture rails. 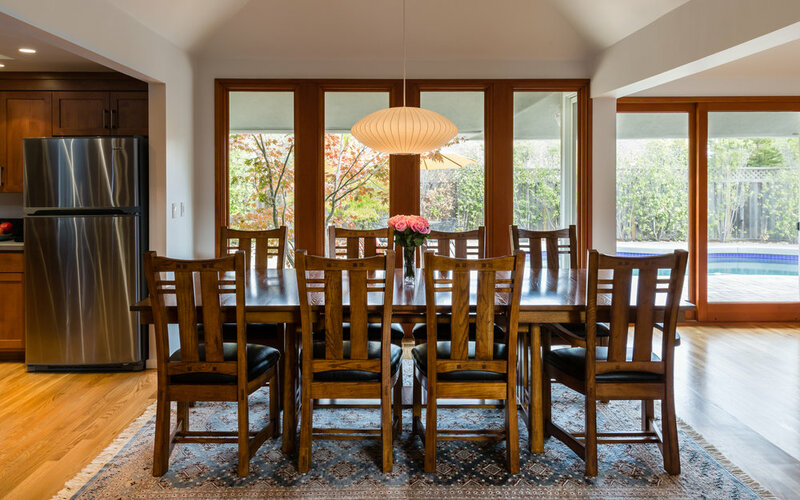 In addition, the kitchen area was completely remodeled and the adjacent spaces were altered to create an expansive line of sight from the living room through the entry, dining room and kitchen to the backyard. 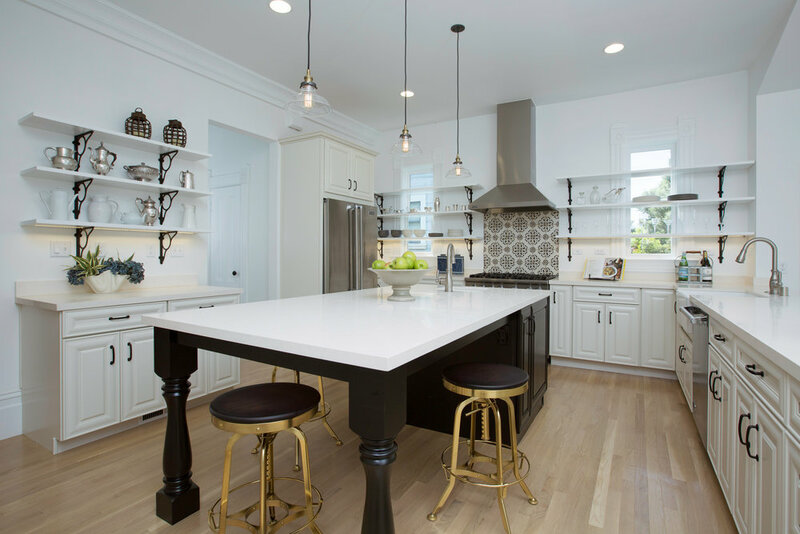 Thoughtful placement of built-ins and repeating columns created a unified, cohesive space while maintaining discreet functionality in each room. 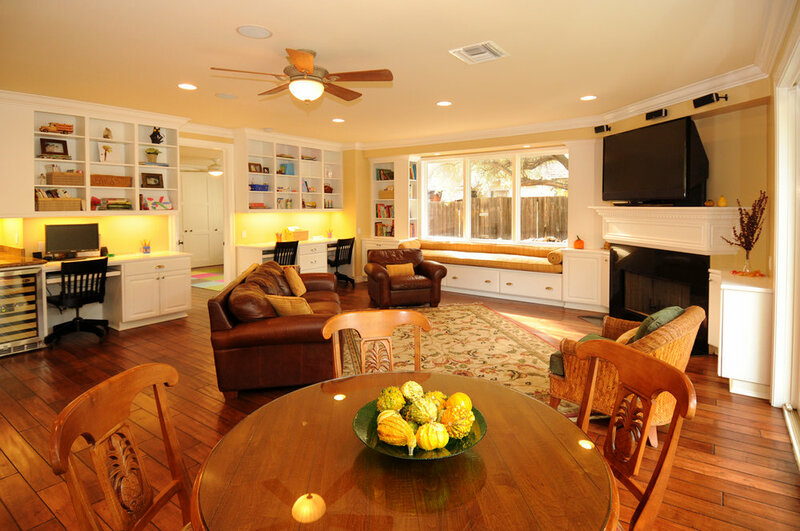 A new master-suite and office were designed on the upper floor. 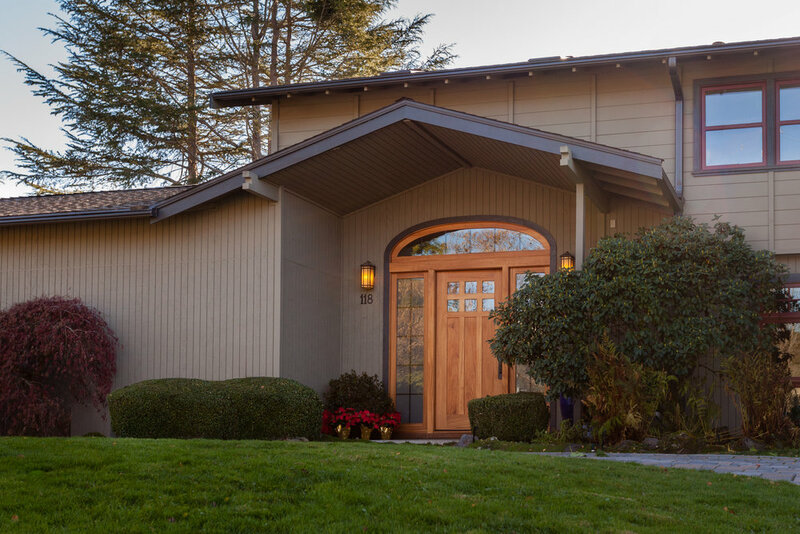 New exterior shingles seemingly wrap the home with warmth.